Best Luxury SUV that money can buy! In recent years SUV have become quite popular among the common folk. The unceasing demand, in turn, has given rise to many luxurious SUV. Therefore, it is only fitting that we make a list featuring the best luxury SUV in the world and pit them against each other. Though, forgive us in advance for our love of the mighty Rover. Here are the best luxury SUV in the world! 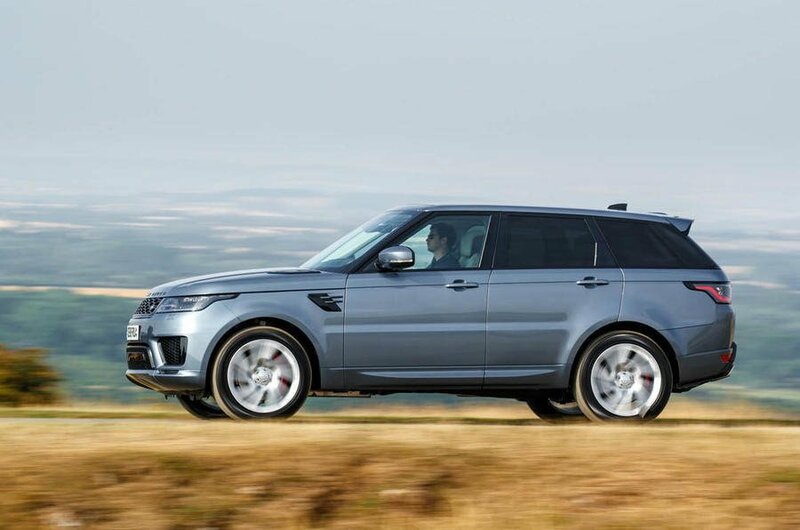 The Range Rover Sport is one of the best luxury SUV that has come out of the company’s evolution. The company used to consist of just a single car. That has changed quite a bit as time has passed though. The company now has a nice selection of rides to choose from and this is the all-rounder of the bunch. Luxury is in every bit of this magnificent Car. What makes it one of the best luxury SUV is its balanced approach. It is heavier than other competitors but not needlessly so. It has a bit less space but that is complemented by its other assortment of features. What are those features you ask? Well, for starters this candidate for one of the best luxury SUV has remarkable off-road talent. The on-road handling is dynamic and offers a nice sense of the tarmac. It is especially outstanding for a car of this size. The cabin is quite luxurious and offers a nice ambiance for the passengers. Add to that the overall richness and refinement of the car and you have a pretty compelling argument for this beast. The Range Rover Sport being put through the paces by Sir Richard Hammond. 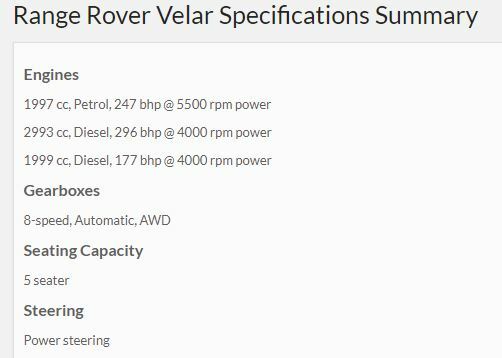 Perhaps, this is why Land Rover can get away with the exorbitant price they charge for this. But, that is to be expected of one of the best luxury SUV on the planet. While the fuel economy of this car won’t allow you to wander off further than its rivals. This car does do everything that it is meant to do without breaking a sweat. As for the tech specs, this car comes in a few different varieties. All of which you can see in the image below. Needless to say, this car is one hell of a beast and a great pick for one of the best luxury SUV. When the first iteration car was released way back in 1989, it was an immediate hit. Even though it was an effort to combat cheap Japanese 4X4s, they did not slack off. Land Rover really wished for it’s old and overpriced image to change and therefore came in guns blazing with this launch. Now, the car’s fifth generation is ready to take the baton. So, what exactly makes this a candidate for one of the best luxury SUV? To start with, this car has an unmatched off-road ability. Very few cars can come close to its overall capabilities. It also provides functional and understated luxury to the rider. Add to that the comfort and versatility that it provides on the road and you have another compelling case for the best luxury SUV. This luxe SUV is also a great driver’s car. One will have a great time at the steering wheel because this offroader is as refined as a traditional luxe saloon. The Land Rover Discovery pulling a 110-tonne road train. The only negatives are that its size makes it a slow and thirsty car. It is not at all cheap to run. Neither does it have dynamic handling on the tarmac. However, one can argue that a serious offroader such as this does not need to be as agile in order to earn a place in your garage. It comes in two flavors. None of which are particularly cheap but then again no one expects one of the best luxury SUV to come cheap. If you were wondering about the numbers, you can see them in the image below. They are pretty good. Now, you must be wondering. Range rover again? And you are right, they have appeared on this list of best luxury SUV for the third time and that is for good reason. The Velar fills the vacuum between the Evoque and the Range Rover Sport. It is tougher than an Evoque but not as tough as it’s older brethren. The Velar has the same aluminium monocoque as the Jaguar F-Pace but that isn’t necessarily a bad thing. The aluminum allows enough weight to be shed for other great things to happen. Even the drive-train is identical to the Jaguar. 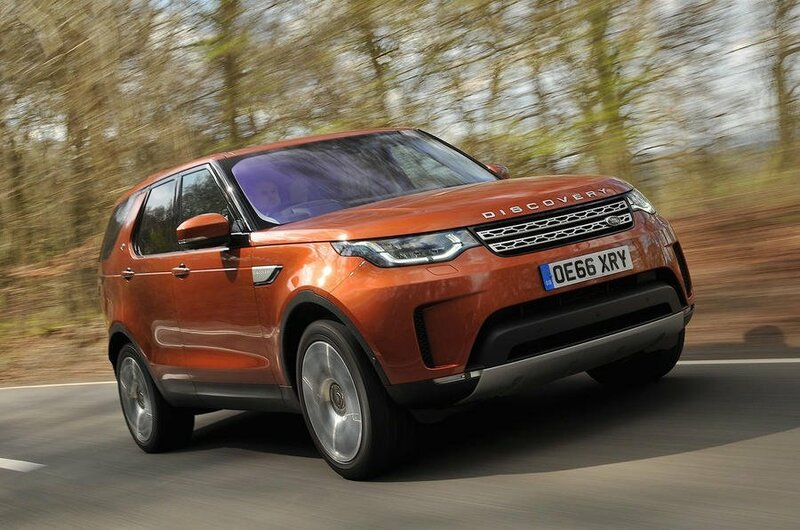 But, the drive-train of this best luxury SUV candidate is augmented by Land Rover’s phenomenal terrain response system. This makes this 4X4 quite capable even though this vehicle is predominantly rear biased. The interior of this car is one of the best to ever come from a British car manufacturer. Everything looks new and fresh. Even the infotainment system has received a major overhaul in order to be competitive. Along with the multimedia system, there are enough screens to keep a kid with ADHD occupied. 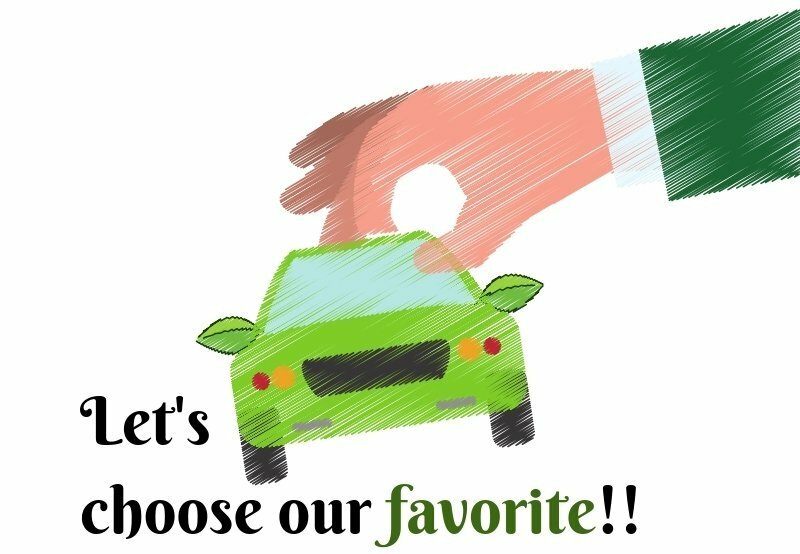 The seats also come with all the bells and whistles that one of the best luxury SUV should come with. 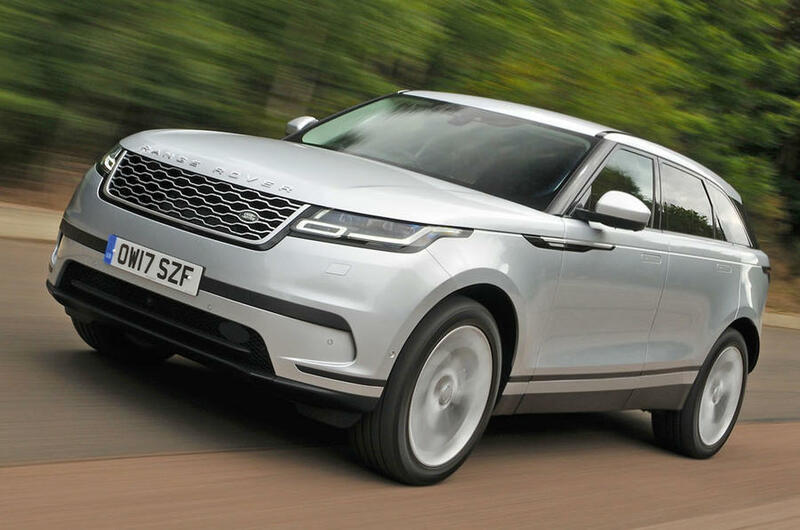 Range Rover Velar vs the Jeep Grand Cherokee. The ride quality of this car is quite good as well. The suspension does a phenomenal job of cushioning the irregularities in the tarmac. Heck, even the engine noise isolation in the cabin is quite good. Much better than the F-Pace. This 2 ton best luxury SUV candidate comes with a 2.0 l engine that makes 237 bhp. The engine comes from the Jaguar Ingenium line-up. The car has a precise steering and a strong well-balanced grip. Though, it’s weight ends up making the handling and the feel less dynamic than its counterparts. 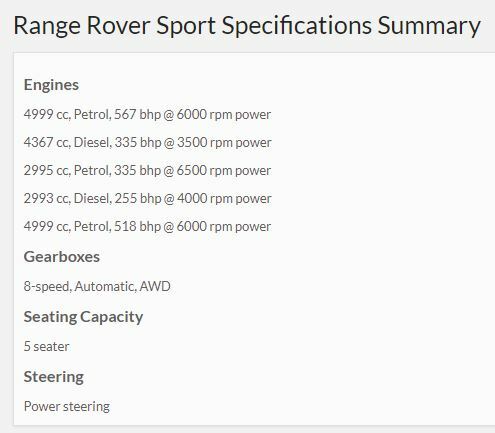 With a starting price of $49,600, this Range Rover offering is cheaper than its siblings. One can say that the value proposition alone is enough to make it one of the best luxury SUV. 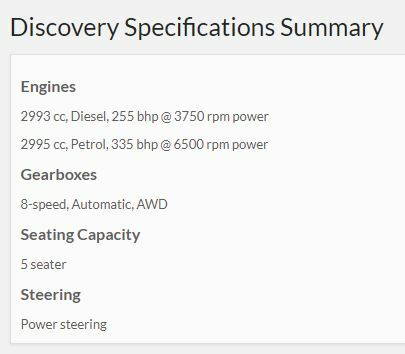 The car comes in three flavors and you can see the tech specs below. The Tesla Model X is an interesting one. In this list of best luxury SUV, this is undoubtedly the most ‘modern’. The path to this one was not easy though. What started with a Lotus-inspired electric super-toy has now become a great Family SUV. Everything about this car is futuristic and one can found themselves being awed quite often. 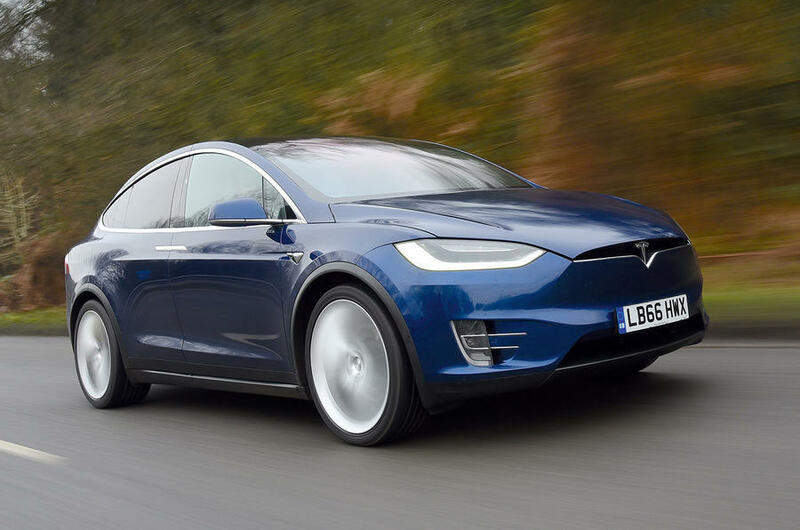 From the Falcon rear doors to autopilot, Tesla offers a lot in it’s best luxury SUV offering. While those aforementioned doors may be a gimmick, the panoramic windshield isn’t. It serves to make the inside appear more spacious than it already is. And boy is it spacious. You can fit five well-built adults and two young-lings quite easily inside this car. The absence of a petrochemical bomb in the front means more space is available to work with. One can make themselves quite comfortable inside this SUV. The fun does not stop here though. With great cabin space also comes great storage space. There is a trunk on both the front and rear with ample space to store a lot. You can easily go on a vacation while hauling a reasonable amount of stuff without breaking a sweat. Jeremy Clarkson destroying an Audi sports car with the blazing fast Model X. But space is not the only thing that Tesla’s best luxury SUV offers. In typical Tesla fashion, you get a nice huge center console. The console can be used to control every single aspect of the car. Now, navigating through a barrage of menus can quickly get tedious. At least Tesla does not force you to use ancient tech like other companies. The performance of this car is bonkers as well. It is one of the fastest accelerating SUV out there. One can say that it is both one of the best luxury SUV and fastest SUV. Though all that is eclipsed by its mass of two tons. That mass also makes the ride less than ideal. Now, it isn’t so bad that you need to avoid it but it is something worth considering. Though, that same mass also provides some stability as all of that is located smack in the middle of the chassis. Jeremy Clarkson describing the drawbacks of the Tesla Model X. That stability is very important to Tesla. Tesla not only want to make the best luxury SUV. They want it to be safe as well. And boy is it safe! This SUV has received the highest safety ratings across the board. But it does not stop here. There have also been multiple reports of Tesla cars detecting car crashes before-hand. Quite a useful feature to have if you like being alive. The price starts from £80,400 and goes up to £138,950 for the P100D version. Ya know, ludicrous prices for ludicrous speeds. The price is quite comparable to other entries on this best luxury SUV list. All in all, this one should only be bought if you plan on hauling your family through smooth cityscapes as off-roading is not what this car was made for. Money is life to us wretched mortals.